Open Minds UFO Radio: Ryan Sprague is a UFO journalist, podcaster, and author. He is also a professional playwright and screenwriter. He was a frequent contributor to Open Minds Magazine, and has participated as a staff member or speaker at several International UFO Congress events. Ryan hosts the podcast Somewhere in the Skies and Rogue Planet’s Unknown. 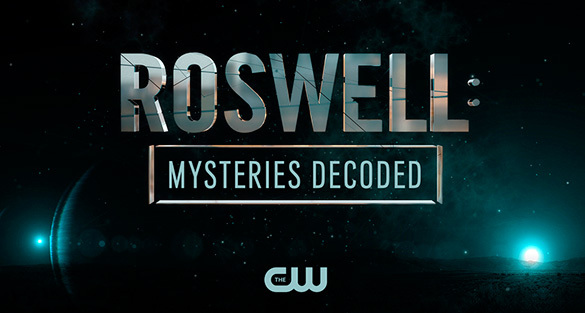 Ryan’s latest project was co-hosting CW’s Roswell: Mysteries Decoded. Alejandro also appeared in the show and served as a consulting producer. Obviously, the child size casket story regarding the Roswell aliens is a diversion. A dead alien would never be be put in a casket. What were they doing, preparing for an alien funeral? You can just hear bagpipes playing Amazing Grace for the dead aliens. I really like your weekly podcast. I live in Dublin Ireland. Unfortunately, it is not available outside of the US from what I understand.